50 ACRES - Flat And Usable Commercial Acreage With Over 500 Meters OF Highway Frontage!!! Over 1600 feet of Highway Frontage and One of Last Untouched Parcels Available. 50 acres / 206,876 sq. 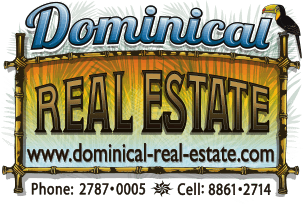 m.
This one of a kind 50+/- acre parcel is perfectly situated just minutes from the tourist town of Dominical, on the main highway to San Isidro and the main highway intersection to San Jose.